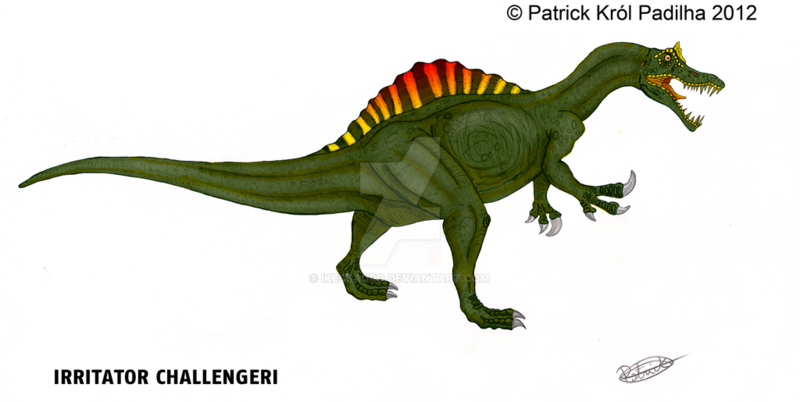 Irritator challengeri. 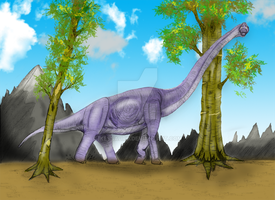 It's a brazilian theropod dinosaur that belong to the spinosaurid family. 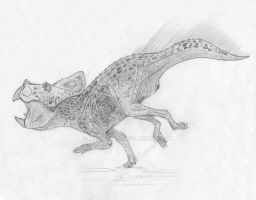 Its fossils were found in the north east of the country on Early Cretaceous deposits. Ficou ótimo, gostei das cores do leque dorsal.